DENVER, CO – A new generation of consumers is getting to know beef through the new beef checkoff-funded Beef. It's What's For Dinner. campaign, launched in October. To celebrate the 25th anniversary of its introduction, the iconic brand has been refreshed, celebrating its reintroduction to a variety of today's consumers, channel partners and food influencers. State beef councils are beginning to extend the campaign's content and features, educating and exciting their states' consumers about the many benefits beef provides to their lives. Of special interest to state councils has been the campaign's "Rethink the Ranch" anthem video and related video spots, showcasing real, hard-working farmers and ranchers from around the country. Nationally, the videos have generated more than 765,000 video views to date, and reached more than 3.5 million consumers. State beef councils have downloaded various Rethink the Ranch content for use on their own social media properties and through other consumer and thought leader outreach. "Our state and national partnership is particularly valuable to Beef. 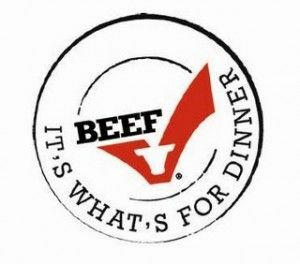 It's What's For Dinner., as the campaign showcases the people behind beef as well as beef's powerful nutrition story," according to Alisa Harrison, senior vice president for Global Marketing and Research for the National Cattlemen's Beef Association, a contractor to the Beef Checkoff Program. "Our team travelled across the United States to capture and develop the most factual and thoughtful stories about how today's beef is brought from the cattle raiser to the dinner table. Together with the information about the high-quality beef being delivered, it's a message that's compelling to consumers today." Councils in several states, including Kansas and Missouri, will be promoting the Rethink the Ranch anthem video in a YouTube campaign launching mid-January. The Ohio Beef Council is producing its own video series to bring to life local producer stories, and is using the familiar sound of Copland's Rodeo music and the new Beef. It's What's For Dinner. logo in its own state materials. Nationally, the Beef. It's What's For Dinner. team has reached more than 20 million people in the first quarter of this fiscal year (starting Oct. 1) with positive messaging about beef. Overall, more than 2 million people visited the BeefItsWhatsForDinner.com website from Oct. 3 to Dec. 18, 2017. The team has successfully driven web traffic to the Raising Beef section of the website to encourage visitors to view the Rethink the Ranch videos, with almost 400,000 page views since the launch. Those people stayed on website pages 42 percent longer (compared to 2016), and the Raising Beef section – core content for the relaunch campaign – became the second top viewed section of the site, right after the recipes. Retailers, foodservice operators and other beef marketers are also being engaged and encouraged to learn more about beef and feature it more often through one-on-one outreach and through a LinkedIn campaign, which targeted business decision-makers. Major media outreach has resulted in more than 30 million impressions for the Beef. It's What's For Dinner. relaunch, including a major story in the Wall Street Journal online and print editions. The effort is also reaching out to food and health influencers, such as registered dietitians, bloggers and doctors, to share the positive information about the brand and website. More than 36,000 health professionals have been reached through outlets such as Nutrition 411, a popular e-newsletter for dietitians. "Teamwork has always been an element of pride for the cattle and beef industry," said Harrison. "With this campaign, we're able to celebrate and capitalize on our state and national partnership, and make the Beef. It's What's For Dinner. brand as broad, extensive and cost-effective as possible."